In its TENTH year, Crossroads shifted the focus of its existence from concerts to developing the Ultimate Finger Pick invention. With Gus getting hired back in Winnsboro, and departing from his duties in Sulphur Springs, it was logical to continue supporting what the Winnsboro Center for the Arts [WCA] had going on the Bowery Stage [formerly the Crossroads Music Company & Listening Room Stage]. 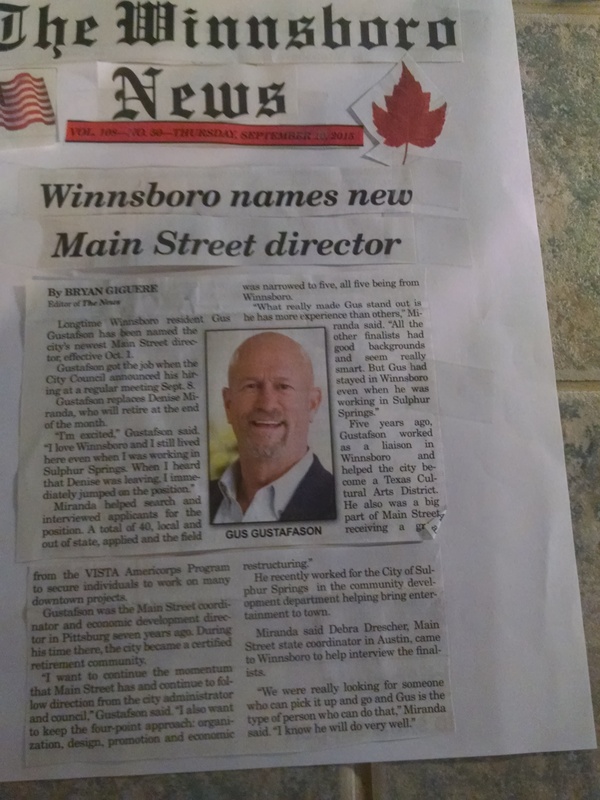 As of October 1, 2015, Gus’ full time responsibility as Winnsboro’s Main Street Manager also included overseeing all the wonderful things happening in the Cultural Arts District, which is the same overlay downtown, and boasts the WCA as its ANCHOR for everything happening in the Cultural Arts District! The Winnsboro Center for the Arts, with Jim Willis handling all the bookings for the Bowery Stage, is selling out performances right and left, and just hosted Judy Collins [Sweet (Suite) Judy Blue Eyes] on June 14th in little ol’ Winnsboro, Texas. That’s right, you heard right! Stay tuned for the next chapter as it unfolds, and help us keep live music ALIVE here in East Texas!